RS Pro IPS-303DD is a single output, 90 W linear DC power supply. It features overload and reverse polarity protection (maintained at 0.01%) and low ripple/noise (maintained at <1 mVrms). Continuous or dynamic internal load selection accommodates applications such as pulsed current. A remote control terminal offers programming and operation from an external device. The RS Pro IPS-303DD is a linear bench power supply. It is a single channel power supply with an output of 90 watts. This model provides protection against reverse polarity while maintaining high regulation alongside low ripple noise. 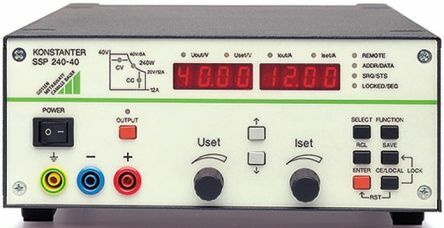 This power supply can operate in series or in parallel. The unit is lightweight and compact which makes it extremely portable, and suitable to accompany you on any job.  2 x 3 digit LED displays provide a clear and easy to read display.  This power supply features remote control terminals that can be operated remotely.  Integrated remote control terminals can be programmed from an external device.  IPS303-DD power supplies can operate in constant voltage (CV) and constant current (CC) modes.  You can select continuous or dynamic loads.  High regulation to 0.01%.  This model has insulation resistance of 20 Ω or over. This bench power supply is accurate and safe. 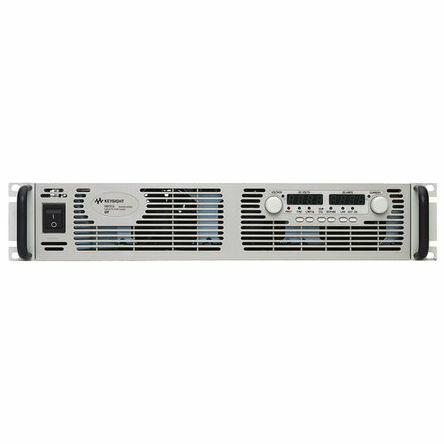 It provides a clean stable outputs with low ripple and low noise. It is compact and lightweight and features a carry handle, making it easy to transport.